Exceptional returns are not achieved by following the herd, and Sir John Templeton, the man Money magazine called the greatest global stock investor of the 20th century, followed this philosophy to an extreme. This contrarian, value legend put his money where his mouth was early on in his career. After graduating from Yale and becoming a Rhodes Scholar at Oxford, Templeton moved onto Wall Street. At the ripe young age of 26, and in the midst of World War II tensions, Templeton borrowed $10,000 (a lot of dough back in 1939) to purchase 100 shares in more than 100 stocks trading at less than $1 per share (34 of the companies were in bankruptcy). When all was said and done, only four of the investments became worthless and Templeton made a boatload of money. This wouldn’t be the end of Templeton’s success, but rather the beginning to a very long, prosperous career -Templeton ended up living a full life to age 95 (1912 – 2008). Shortly after his penny stock buying binge in 1939, Templeton parlayed those profits into buying an investment firm in 1940 – this move served as a precursor for his Templeton Growth Fund that was launched in 1954. How successful was Templeton’s fund? So successful that an initial $10,000 investment made at the fund’s 1954 inception would have compounded into $2 million in 1992 (translating into a +14.5% annual return) when Templeton’s company was sold to Franklin Resources Inc. (BEN) for $913 million. Central to Templeton’s contrarian investment philosophy was to purchase superior stocks at cheap prices at points of “maximum pessimism.” Like a lot of excellent investors, Templeton was never afraid to go against the tide and make big bets. In the 1960s, Templeton held more than 60% of his fund’s assets in Japan. More than three decades later he was astute enough to recognize the tech bubble in 1999 and to profit from this trend by shorting the tech sector. He famously predicted that 90% of the new internet companies would go bankrupt within five years. Although Sir John Templeton is no longer with us, he has left numerous books and writings that investors of all shapes and sizes can draw upon. One of the best distilled pieces of knowledge distributed by Templeton is his 22 investment maxims. 2.) Achieving a good record takes much study and work, and is a lot harder than most people think. 3.) It is impossible to produce a superior performance unless you do something different from the majority. 4.) The time of maximum pessimism is the best time to buy, and the time of maximum optimism is the best time to sell. 5.) To put “Maxim 4” in somewhat different terms, in the stock market the only way to get a bargain is to buy what most investors are selling. 6.) To buy when others are despondently selling and to sell what others are greedily buying requires the greatest fortitude, even while offering the greatest reward. 7.) Bear markets have always been temporary. Share prices turn upward from one to twelve months before the bottom of the business cycle. 8.) If a particular industry or type of security becomes popular with investors, that popularity will always prove temporary and, when lost, won’t return for many years. 9.) In the long run, the stock market indexes fluctuate around the long-term upward trend of earnings per share. 10.) In free-enterprise nations, the earnings on stock market indexes fluctuate around the book value of the shares of the index. 11.) If you buy the same securities as other people, you will have the same results as other people. 12.) The time to buy a stock is when the short-term owners have finished their selling, and the time to sell a stock is often when the short-term owners have finished their buying. 13.) Share prices fluctuate more widely than values. Therefore, index funds will never produce the best total return performance. 14.) Too many investors focus on “outlook” and “trend.” Therefore, more profit is made by focusing on value. 15.) If you search worldwide, you will find more bargains and better bargains than by studying only one nation. Also, you gain the safety of diversification. 16.) The fluctuation of share prices is roughly proportional to the square root of the price. 17.) The time to sell an asset is when you have found a much better bargain to replace it. 18.) When any method for selecting stocks becomes popular, then switch to unpopular methods. As has been suggested in “Maxim 3,” too many investors can spoil any share-selection method or any market-timing formula. 19.) Never adopt permanently any type of asset, or any selection method. Try to stay flexible, open-minded, and skeptical. Long-termy changing from popular to unpopular the types of securities you favor and your methods of selection. 20.) The skill factor in selection is largest for the common-stock part of your investments. 21.) The best performance is produced by a person, not a committee. 22.) If you begin with prayer, you can think more clearly and make fewer stupid mistakes. 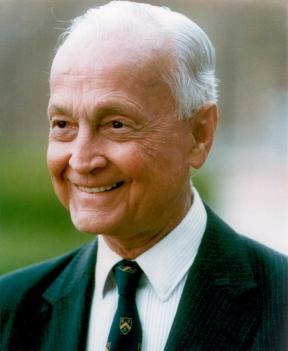 Sir John Templeton lived a rich life of many interests spanning investments, science, and religion. Applying a few points of this investor of the 20th century can only improve your results. DISCLOSURE: Sidoxia Capital Management (SCM) and some of its clients own certain exchange traded funds, but at the time of publishing SCM had no direct position in BEN, or any other security referenced in this article. No information accessed through the Investing Caffeine (IC) website constitutes investment, financial, legal, tax or other advice nor is to be relied on in making an investment or other decision. Please read disclosure language on IC “Contact” page. Entry filed under: Profiles. Tags: 22 maxims, Franklin Resources, Sir John Templeton, Templeton Foundation, Templeton funds.